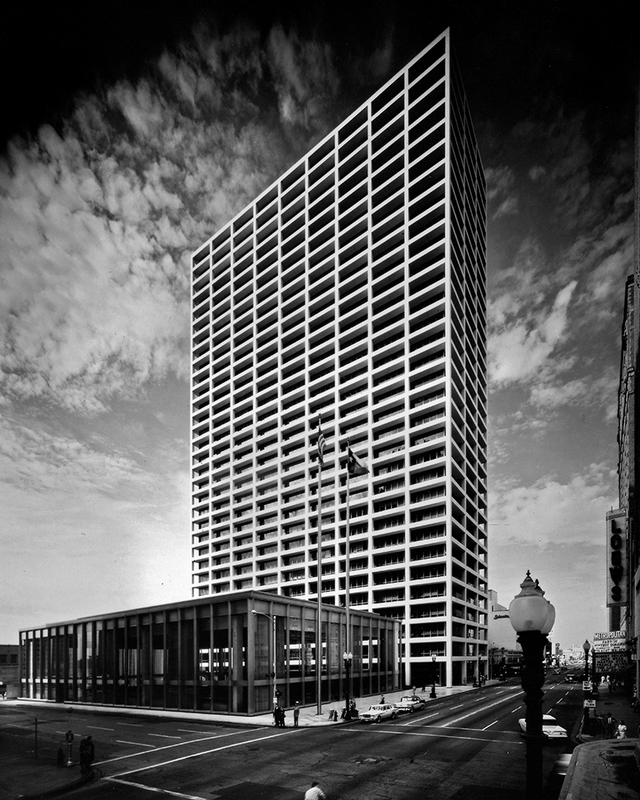 In 1936 two architects—Louis Skidmore and Nathaniel Owings, both from Indiana—set up a firm in Chicago, a city that would prove a fertile ground for their work. 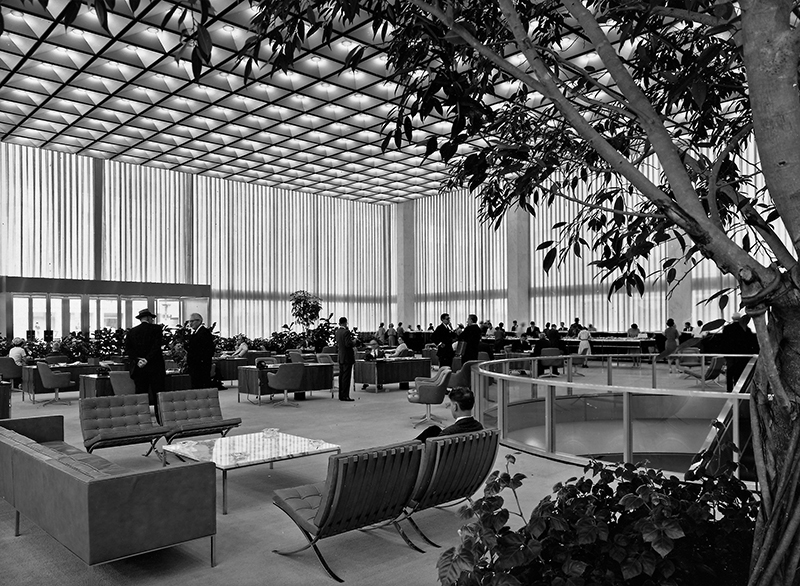 Three years on, John O. Merrill joined the firm, prompting a name change to Skidmore, Owings and Merrill (SOM). 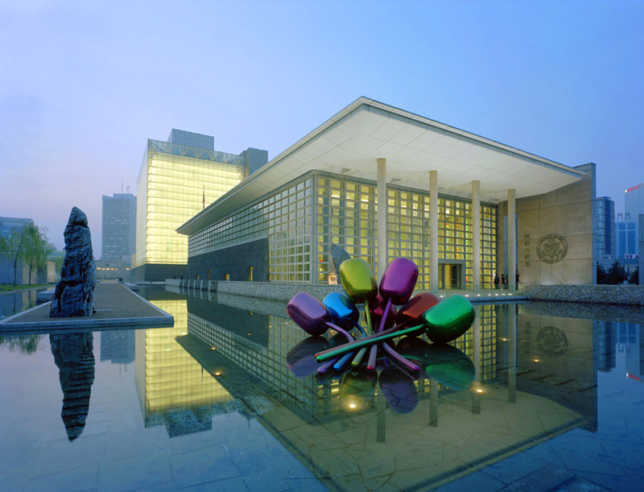 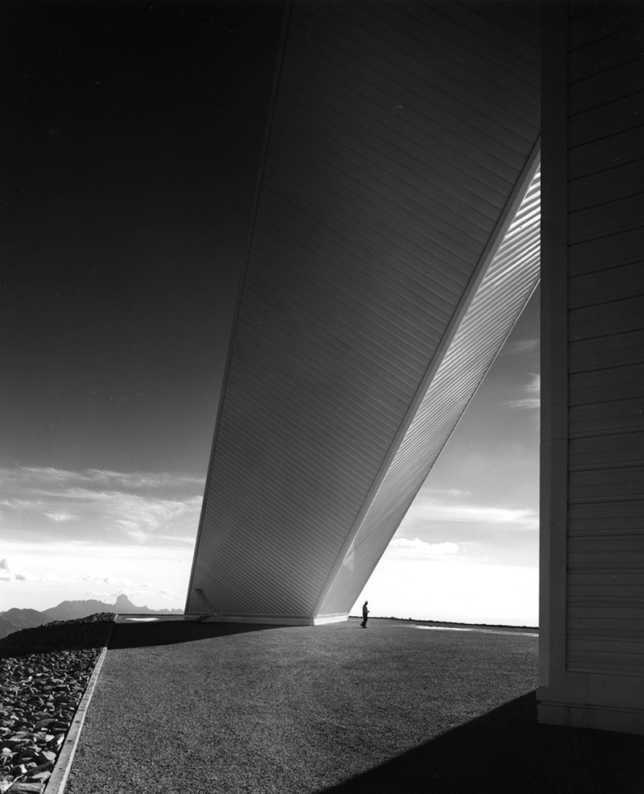 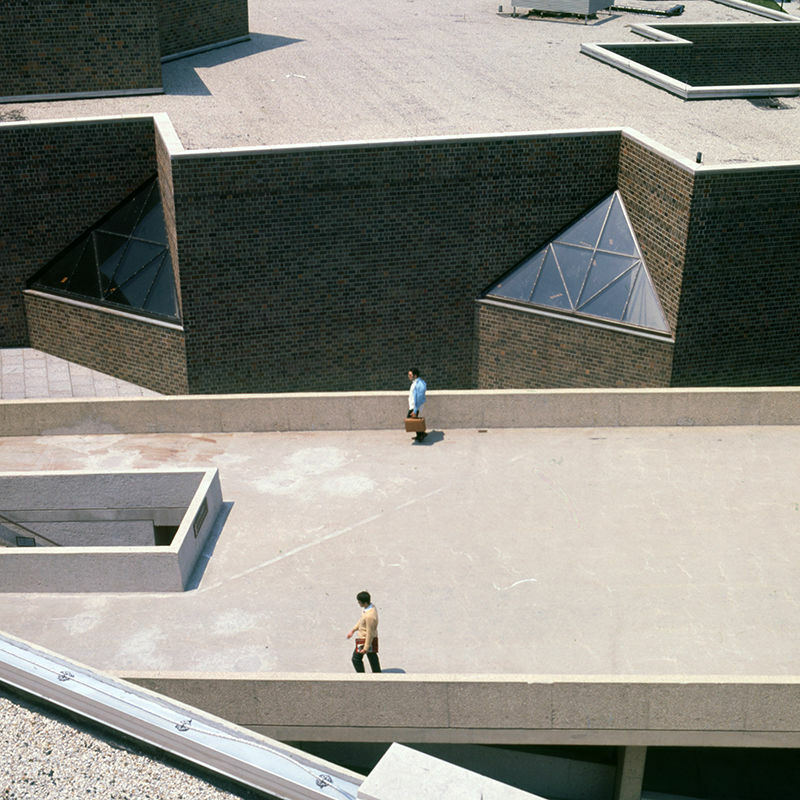 Now you can travel through all those 80 years of SOM‘s practice with their Tumblr blog. 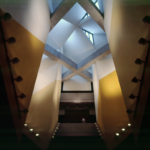 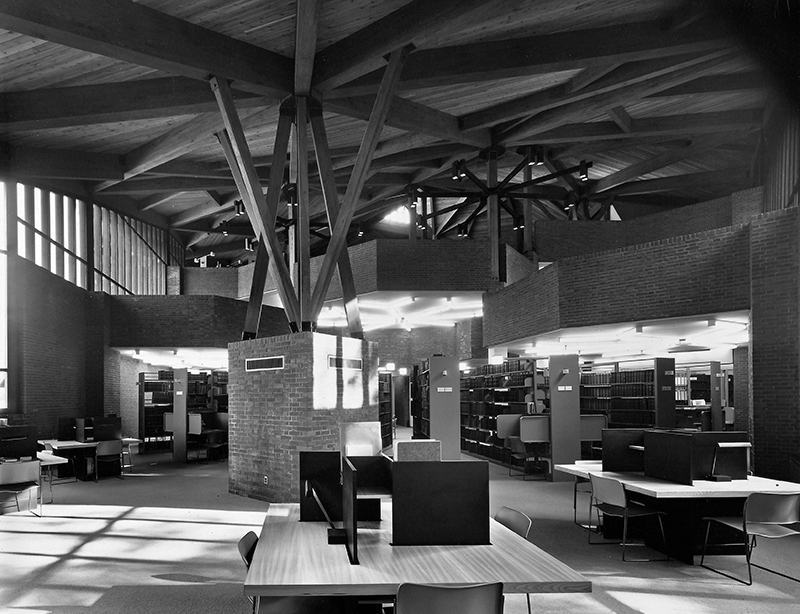 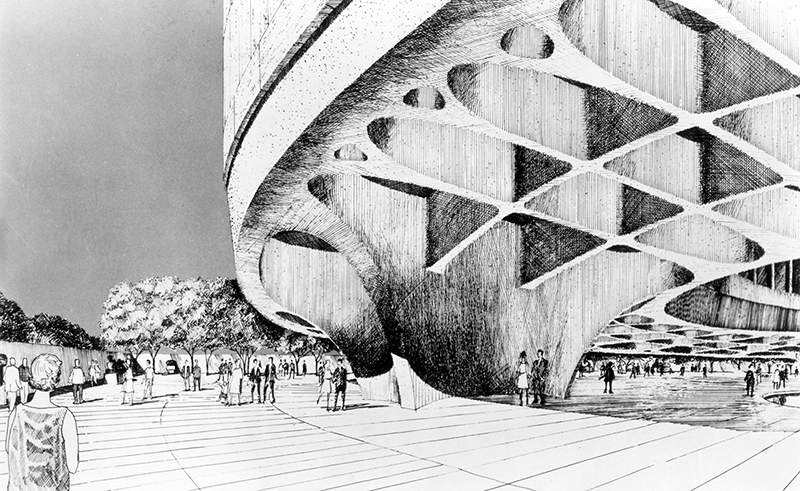 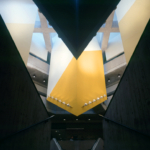 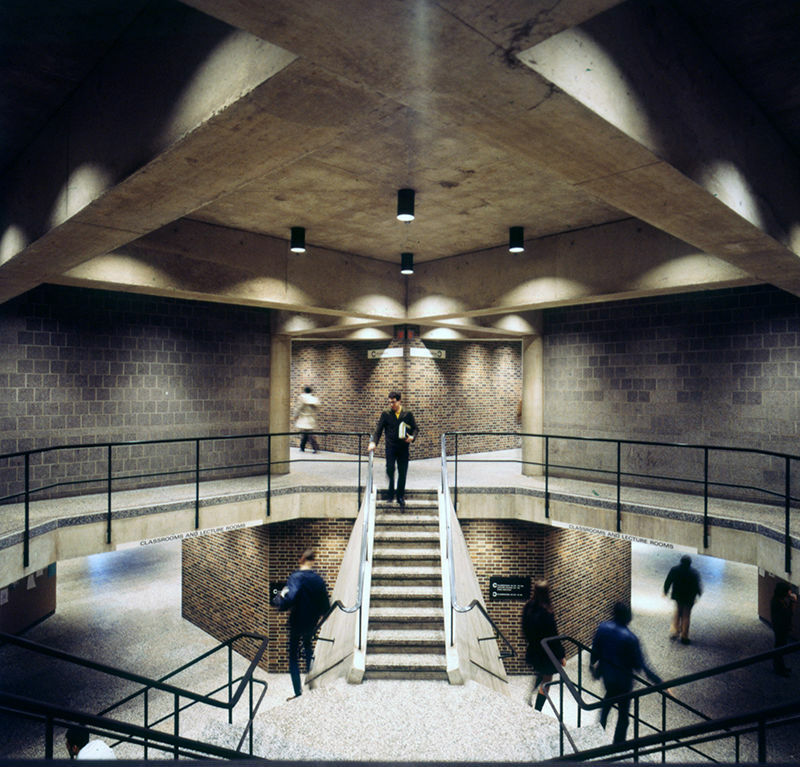 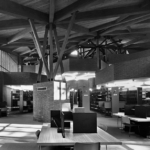 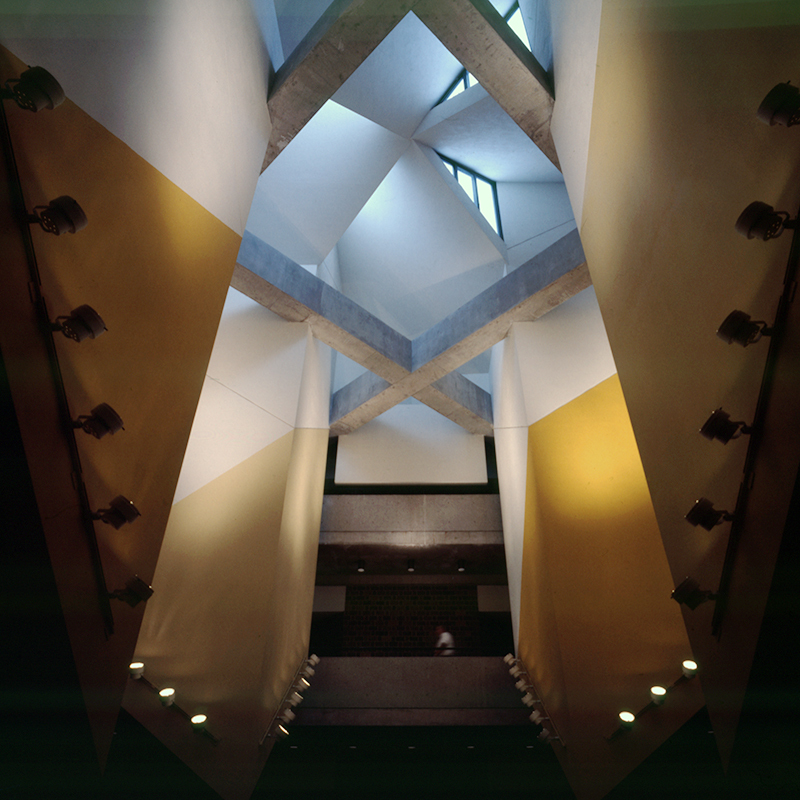 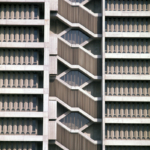 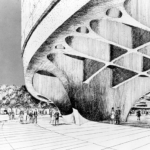 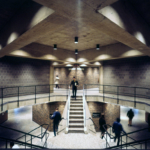 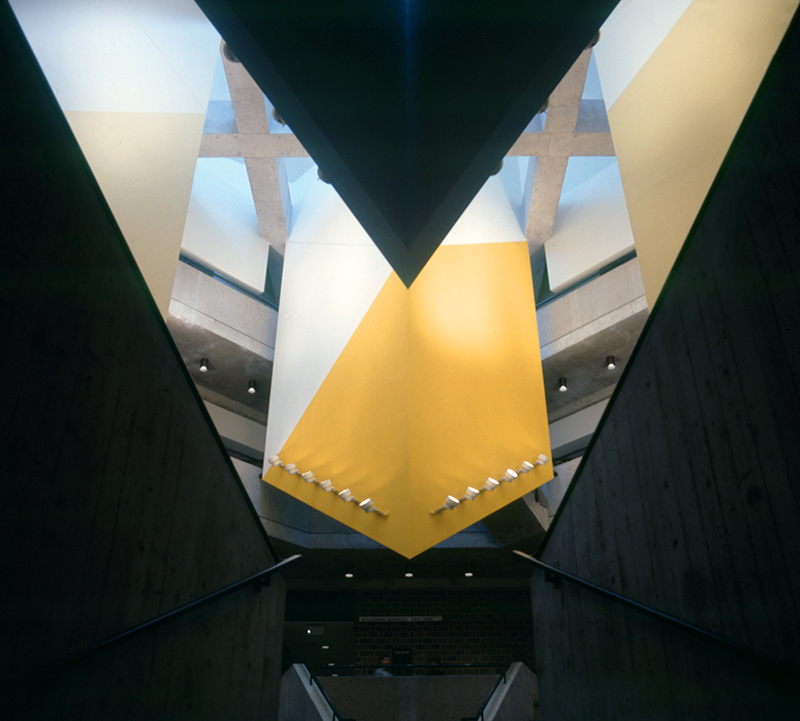 Within the archive, visitors can find a plethora of modernist architecture from SOM’s early years. 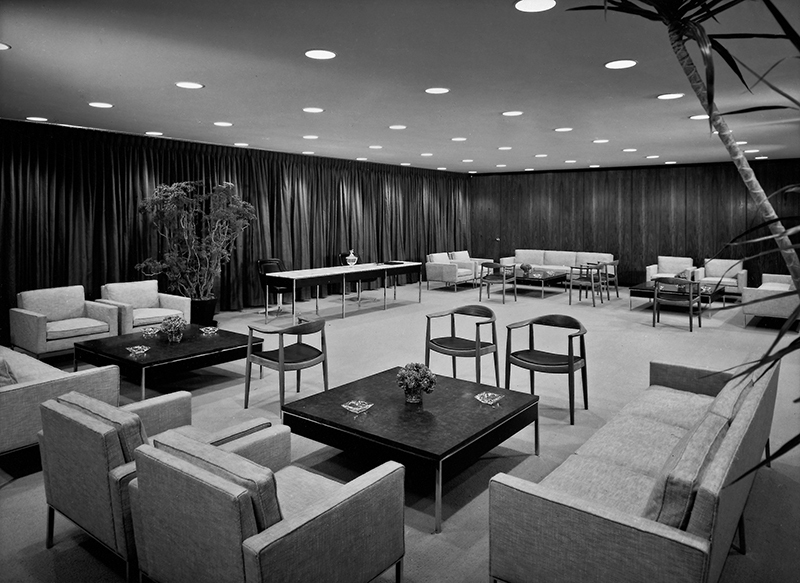 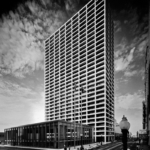 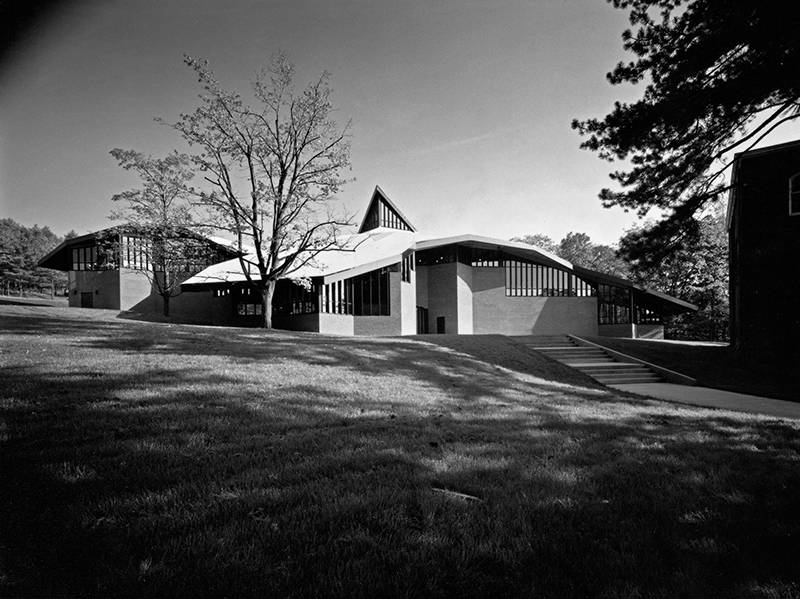 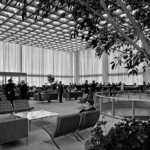 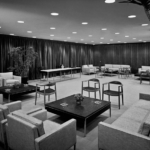 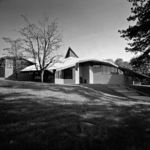 The trio was even dubbed “the three blind Mies” by Frank Lloyd Wright due to their emulation of the German architect Ludwig Mies van der Rohe’s principles. 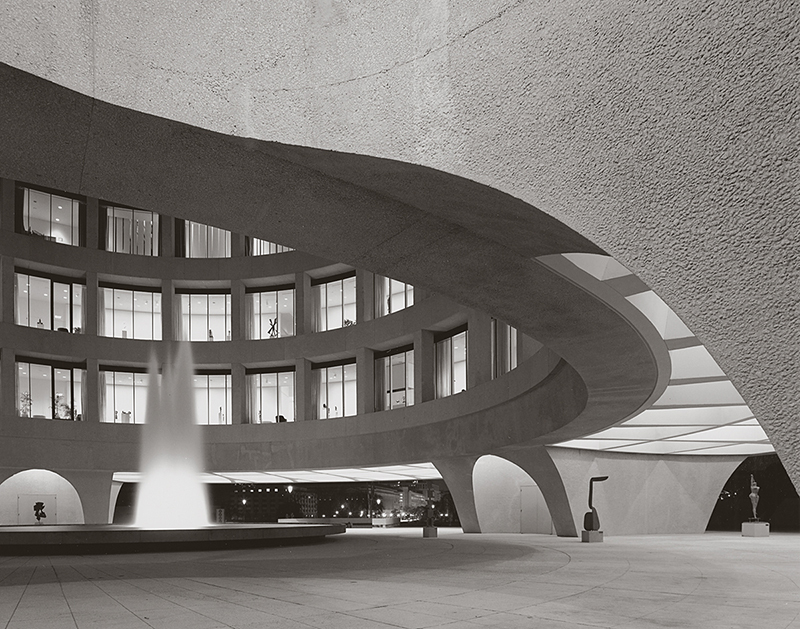 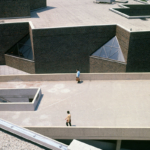 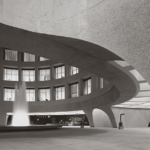 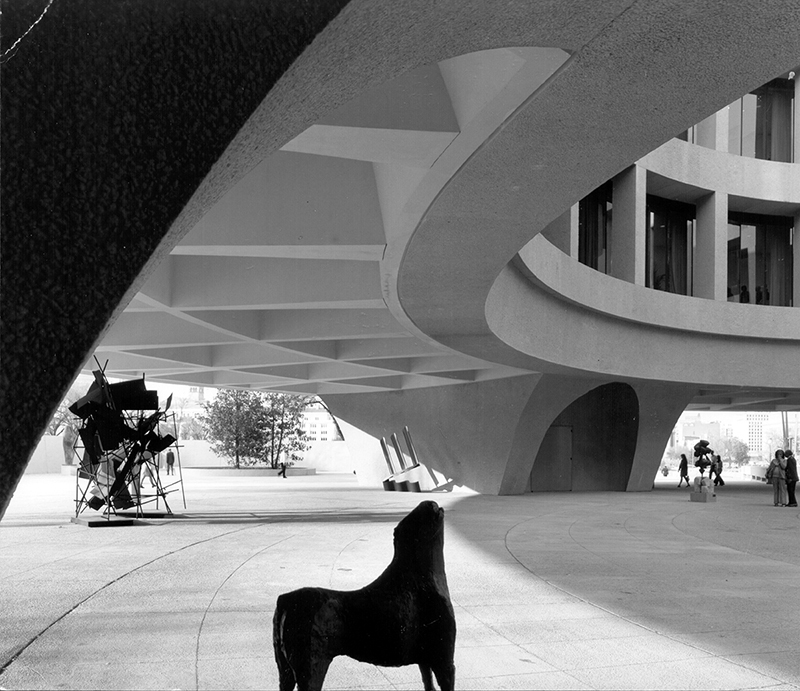 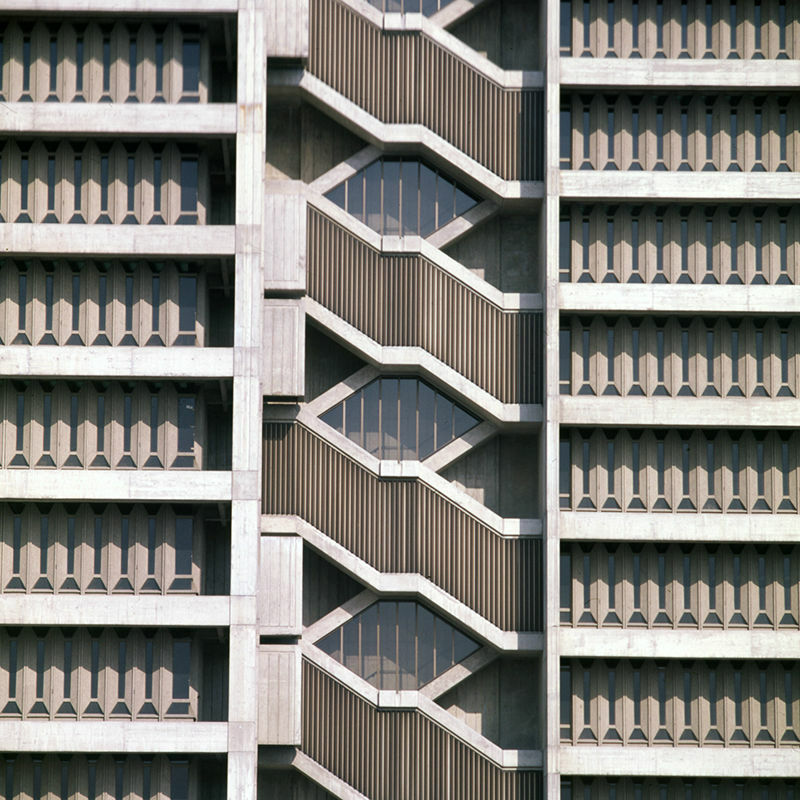 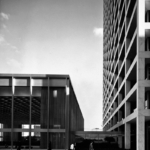 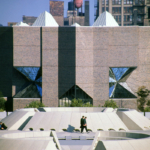 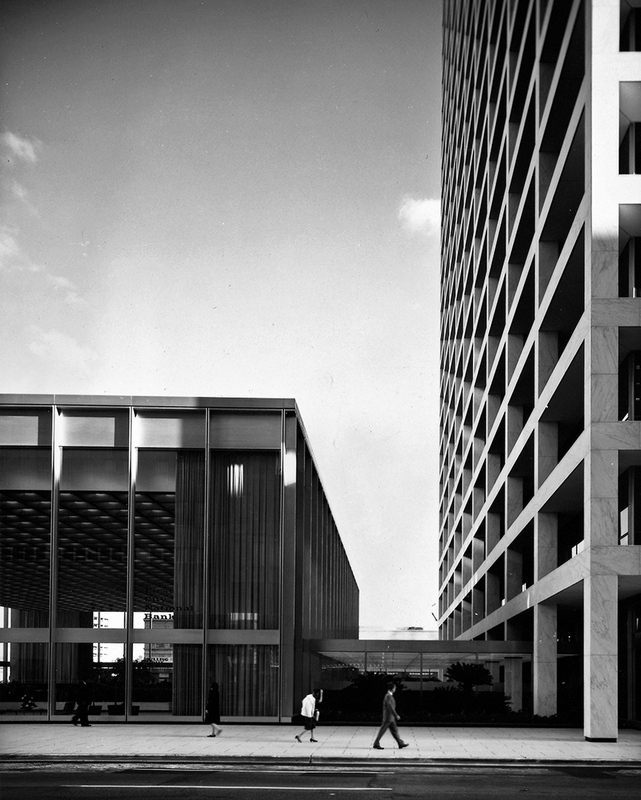 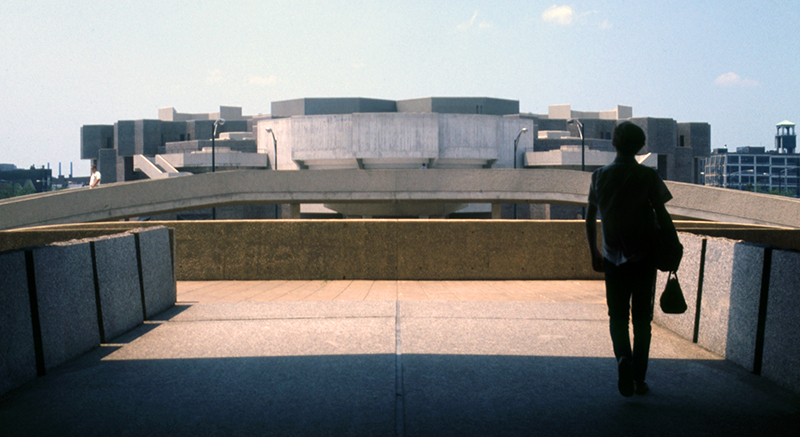 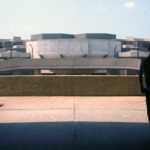 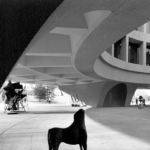 The images showcased here are only a few of SOM’s buildings: The Hirshhorn Museum (1974) from Washington D.C.; Houston’s First City National Bank (1961); The Netsch Campus (1968) in Chicago; and the Wells College Library in Aurora, NY are among a host of designs ranging in scale and location. 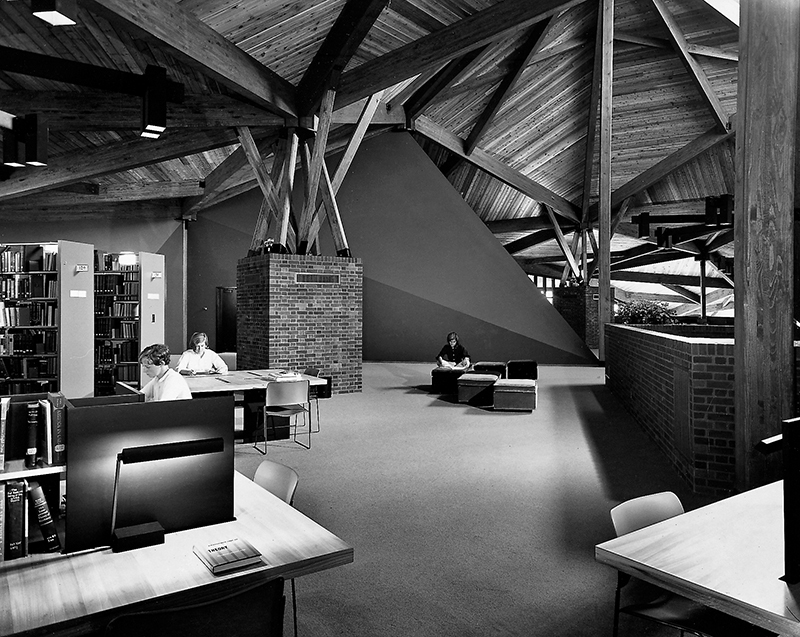 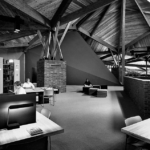 Much more, including the firm’s most recent projects, can be found here.